Last week I got to celebrate one of my most wonderful friends. It turns out she was in my program (and a really gifted writer). But we didn’t start out as close friends. We didn’t click immediately. It’s hard to pinpoint when exactly Jill went from “a fun girl in my program” to “one of my very best friends.” We were in the middle before we knew we’d begun. You see, there’s really very little reason Jill and I should be friends. At least, that’s what I thought at the beginning. She’s on one end of the political spectrum. I’m on the other. Mockingjay is her favorite book in the series. Can I get a “third book is a DOWNER” in here? If there is a moment in our friendship affair to remember that should be highlighted, circled, and cast in steel for all time, it’s Bridget Jones’s Diary Night 2013. One day, during finals week, Jill and I found ourselves with nothing to do for two hours and an audience of two friends who always pretend like they can’t stand us, but truly love the entertainment. So we decided to do a dramatic reading of a crappy transcription of Bridget Jones’s Diary. Jill played Bridget incredibly well. I was everyone else, with a special connection to Pamela Jones. We laughed our cabooses off the entire night. So last week, on Jill’s 27th year of being fabulous, there was really only one way to celebrate. We popped open the diet coke, lit the candles, and indulged in Rob’s turkey curry buffet. 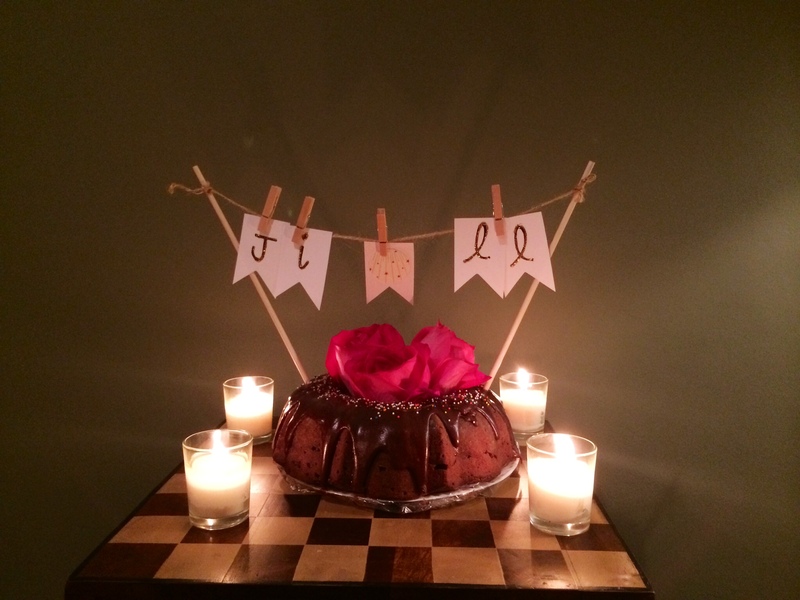 Yes, we threw Jill a Bridget Jones-themed birthday. 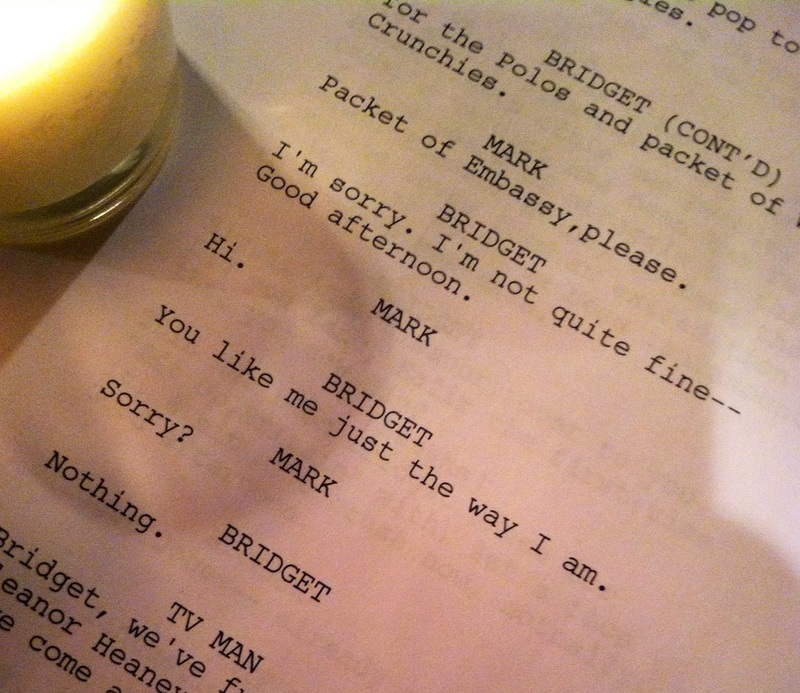 We talked and did a dramatic reading of our best scenes in Bridget Jones’s Diary. We laughed and laughed at the accents. We discussed Ethel Kennedy. We ate and talked life and Bridget and Bridget’s life, and I was reminded once again how phenomenal of a friend Jill is. Jill sees me. The parts that I usually cover up, the ones that are completely and hopelessly uncool, she sees those as my biggest strengths. She’s often more proud of my crazy than I am. Are we all aware that this is what friendship should be? Because let me tell you, having a friend like this, it makes life a heck of lot more fun. Jill is in my corner, and I’m in hers. That is more than I was ever expecting when I saw that tall girl supposedly in the Communication program. So I say we toast: to Jill, who cannot stop obsessing about the Kennedy and Royal families, but who we love just as she is. Lovely idea about celebration ❤ Thanks for sharing.